Welcome to the fifth episode of Stairway to CEO! In this episode, I interviewed Courtney Reum, the Co-Founder of M13, a consumer product-focused, brand development, and venture capital firm based in Los Angeles. Along with angel investing and building an impressive portfolio packed with top startups including Pinterest, Lyft, Ring, SpaceX, and Thrive Market, just to name a few, he also Co-Founded Veev Spirits with his brother Carter and is a best-selling author of the book “Shortcut Your Startup." Courtney shares how he went from working at Goldman Sachs to building Veev Spirits from a 2-person startup to one of the fastest growing independent liquor brands in the US which was acquired in 2016. He talks with us about his biggest failures, what he learned from it, what it was like to get his company acquired and how he thinks about managing burnout. How skipping class senior year actually lead him to pursue an Ivy League education at Columbia University in New York City. How he sharpened his selling chops pushing Lingonberry pancakes at IHOP. How life is all about options and how important it is to keep yours open. How he ended up moonlighting as a card-carrying food critic and founding Zagat’s first internship program. How a fateful injury ended his dreams of being a pro-athlete, but spurred his journey into finance and on to become a successful entrepreneur. How Kevin Plank from Under Armour helped him decide to become a founder. How he came up with the name for Veev, why he decided to start a spirits company, and the challenges he faced branding a “healthier” alcohol. The unusual approach he used to raise capital for Veev. The biggest challenges they faced and the importance of focus as a founder. Some of the most useful tips from his best-selling book: Shortcut Your Startup. 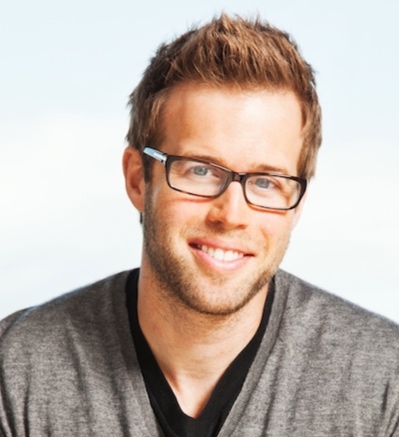 His exit strategy from Veev and his advice on strategies for getting your company acquired. (Hint: pre-court your buyers). Re-inventing the wheel — the creation of his investment firm and platform M13. His take on founder burnout and how to keep employee morale high. His biggest takeaway and his number ONE piece of advice for new startups! "Life's just about options and so the more options you have the better it'll probably turn out."